Liver Function Tests are used to check how well the liver is working. They can help to detect signs of inflammation, some types of infection, and are a diagnostic and monitoring tool in various medical conditions (not just those which directly affect the liver). 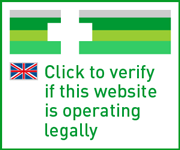 When you click to buy your Liver Function Test online from our UK pharmacy, you’ll be asked to fill in our short order form. Once your kit has been dispatched, you can expect to receive it in one working day. Liver function test. This kit tests levels for the following: Bilirubin, ALT, AST, Albumin, Globulin, Total Protein, ALP and Gamma-GT. The Liver Function Test is a blood test that checks liver activity. It measures the levels of various proteins and enzymes produced by the liver, and can identify inflammation and infection. Liver function tests (or LFTs) are also a tool used by doctors to monitor the management of existing conditions, or how well a drug might be working. When you buy the Liver Function Test kit online from our UK pharmacy, you’ll receive everything you need to collect your sample at home, and send this to our partner lab for analysis. Once you have done so, your result should be turned around by them within a few hours of receipt. When you result is ready, we will send you a message so that you can login to your secure patient area to view it. If your test indicates that you need further medical advice, our doctor will inform you when providing your result. Why would I need a liver function test? For a number of possible reasons. Liver function tests are routinely carried out to help rule out or confirm the presence of infections or other health problems, and can inform a doctor on what other tests or treatment measures may be necessary. Some of the treatments offered through our service, such as those for high cholesterol, fungal infections and HIV prevention, may require you to have a liver function test before they can be started or continued. So a doctor may ask you to take a liver function test to check that your treatment is working properly, or not having an adverse effect on liver function before renewing your prescription. The liver is a vital organ that performs several functions. It metabolises nutrients from food, such as fat and certain types of sugar, and sends these out into the body via the bloodstream as energy. It helps to filter out waste from the the blood too, and also produces substances that aid blood clotting, repair tissue, and fight infections. Liver function can be a useful gauge of someone’s health. If someone is ill, because they have an infection or are experiencing some form of inflammation, this will often show up in a liver function test. What does the liver function test look for? Bilirubin. A yellow compound present in bile and urine. It is produced when red blood cells are broken down in the body. Higher levels of bilirubin can cause jaundice (yellowing of the eyes and skin), or be an indication of a problem affecting the bile ducts (such as gallstones) among other issues. ALT, or alanine aminotransferase, and AST, or aspartate aminotransferase. These are enzymes the body uses to help metabolise nutrients from food and convert it into energy. When the liver sustains damage, it leaks into the bloodstream; so higher levels in a blood test can be indication of liver injury, or a viral infection. Albumin, globulin and total protein. The body uses protein to maintain healthy tissue and repair it when damaged, and it’s also vital for normal organ function. Albumin and globulin are types of proteins. Albumin helps to sustain normal fluid pressure levels in the body, so that blood doesn’t leak out of blood vessels, while globulin aids immune function. People with an infection or inflammation may have high levels of these proteins, whereas low levels may an indication of a problem affecting the liver or kidneys, or issues in the bowel absorbing nutrients. ALP, or alkaline phosphatase. This is an enzyme that the liver makes, and helps to metabolise proteins. It’s also present in the bones and vital organs, including the kidneys, the pancreas and the intestines. Elevated levels might be a sign of gallbladder or liver issues, or a bone disease. Low levels on the other hand can occur in malnutrition, vitamin deficiency and conditions that affect absorption, such as coeliac disease. Gamma-glutamyl transpeptidase, or GGT. An enzyme that carries substances around the body, and helps the liver to break down drugs and filter out waste. Increased levels of GGT might be caused by excessive alcohol consumption, viral infections such as hepatitis, blood flow problems, pancreatitis or diabetes. How can I order the Liver Function Test online? Click below to be taken to our order form, where you’ll asked to fill in a handful of questions. Your kit will then be dispatched from our pharmacy by next-day courier. You’ll receive a self-addressed envelope to send your sample back to our partner lab. Upon receipt at the lab, your sample will be turned around in a few hours. We’ll then notify you when your result is ready, so you can login to your patient are to view it. Please contact us as if you receive your kit and any of the above items are missing. To ensure that your result is as accurate as possible, it is very important that you read and carefully follow the instructions provided with your test kit. The instructions will contains diagrams to help you. Remove the cap on the blood collection tube, and place this upright as shown in the protective wallet. The side of your little finger is the recommended site from which to take a sample. Wash your hands in warm soapy water and dry them thoroughly. This ensures your hands are clean, but also helps to get blood flowing to the fingers. Take one of the alcotip swabs and clean the end of the finger you are taking your sample from. Dry afterwards with a clean tissue. Take a lancet out of the bag, and twist the end to remove the tip. While standing up, place the exposed end of the lancet firmly against the side of your finger. This will activate the puncturing mechanism, and you should feel a small pinch. A small droplet of blood should then form. You should wipe the first one away with a clean tissue. With your hand facing downwards, massage the finger you have pricked, to help blood flow to the puncture site. Holding your finger over the top of the tube, massage it to encourage blood droplets to form and drop into it. Fill up the collection tube to the upper line. If you can’t get enough blood to come out of your finger, try wiping it with a tissue and waiting for 10 seconds, before continuing again. Alternatively, use one of the spare lancets to repeat the process on your other little finger. Once your tube is filled up to the second line, fasten the cap to the stop of the tube. To do this, press the cap against the top of the tube until you hear a click. Once secure, turn the tube upside down and back between five and 10 times. Apply the name label to the tube as shown in the diagram in the instructions, placing the tube in the middle of the label and wrapping the sides around to meet. Put the tube in the wallet provided. Place the wallet and any used lancets into the test kit box. Seal the test kit box with the security label. Put the test kit box and the request form into the self-addressed envelope. Once you have gone through the checklist on the instructions, seal the envelope and post this at your earliest convenience. You should ideally do so within a couple of hours of collecting your sample. We will notify you when your result is ready to view in your patient area. If you need any further help or assistance collecting your sample, please contact The Doctors Laboratory on 0207 307 7373, or email samples@tdlpathology.com. Alternatively, please call our customer service team on 0207 043 0716, or contact us via your patient area. Your blood contains various proteins and enzymes which are produced by the liver. When the body encounters an illness or a drug is affecting it in a certain way, the levels of these proteins and enzymes will either rise or fall. The test looks for these fluctuations to help identify problems with the liver, or other illnesses. Doctors also use liver function tests to monitor existing conditions and see how well treatment is working. Yes it does. Your blood sample will be analysed and, when your result is ready, the lab will send it to us. We’ll ship your kit by next-day courier after you have placed your order. It should only take a few minutes to collect your sample, and the turnaround time for a result at the lab is four hours upon receipt. So, provided you do not delay collecting and returning your sample, you should have your result within five to seven days of ordering your test. A finger prick blood sample, from the side of the little finger tip. A lancet is provided to help you perform this. What happens if my results are within normal range? If you have been instructed to take the test as part of your ongoing treatment plan, to see whether a medicine is working as it should, you’ll likely be able to carry on with your treatment as normal. What happens if my results are out of normal range? It depends what your test shows. Your ongoing treatment plan might need to be adjusted; or you may have a condition that needs to followed up on by a doctor. If you results are ‘deranged’, our doctor will provide advice on what to do next. Our private pharmacy service has teamed up with a trusted pathology lab to offer a quick and simple testing service for liver function. Complete our order form to buy your liver function test online, and you’ll receive it by 24 hour parcel. What different types of diet are there?